Takano Aki is a happy, ordinary housewife whose family has moved to their dream apartment. Just as they are starting their new life, they encounter an ominous, terrifying neighbour. 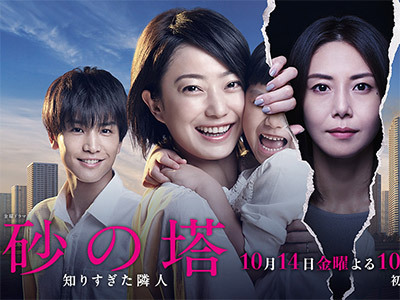 This neighbour manipulates the dark emotions of pride, vanity and jealousy of the housewives living in the apartment building, drives Aki into isolation within the building with unexpected methods and eventually causes the break up of her family. Didn't really get going until episode 6. Kanno was great as a housewife trying to do her best, but the whole "Hamelin" thing was more a distraction than anything else.